Experience Iceland in high season, where nature displays its best splendor with bright nights and a vibrant birdlife. 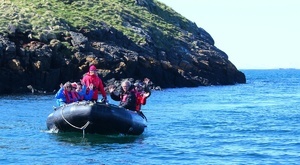 You will not want to go to sleep during this trip, as landscapes change constantly, and you want to keep to keep a lookout in search of the whales. 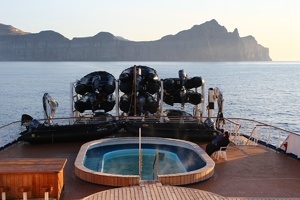 On board Ocean Atlantic you will reach areas of Iceland not otherwise assesible. 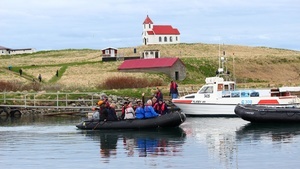 In selected locations we will utilize our Zodiac fleets to further explore the area. 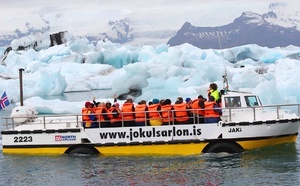 From lowlands to glacier ice, we’ll see the entire coast of Iceland with unforgettable experiences both on the mainland and on the many islands where seals and puffin seabirds gather. 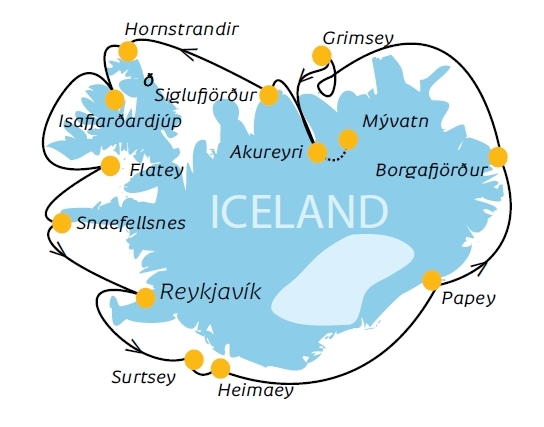 Along the way, we’ll visit national parks and cozy little towns, stand on the polar circle, enter the black lava sand and learn about the Icelandic sagas, an intrinsic part of the Icelanders identity.